Julia E. Sullivan is an independent attorney and arbitrator with more than 30 years of experience in the energy industry. 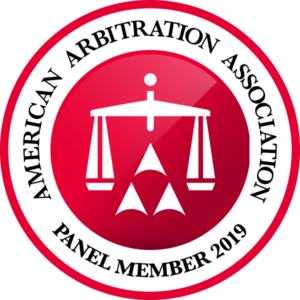 Ms. Sullivan is a fellow in the Chartered Institute of Arbitrator and a Member of the American Arbitration Association’s Roster of Arbitrators. Prior to founding her own firm, Ms. Sullivan chaired the Energy Regulation, Markets and Enforcement practice at Akin Gump Strauss Hauer & Feld, LLP, where she also served a member of the Steering Committee of the Global Energy & Transactions practice. Ms. Sullivan has served as an arbitrator or party representative in more than fifty litigated proceedings. She also has significant experience representing U.S. and international energy companies, investors, and public institutions in connection with mergers & acquisitions; engineering, procurement, and construction agreements; power purchase and sale agreements; operating agreements; LNG liquefaction agreements; electric transmission interconnection and service agreements; natural gas purchase and sale agreements; natural gas pipeline service agreements; oil pipeline service agreements; project financing; credit agreements; energy market formation; energy trading; energy risk management; energy regulation; and commercial disputes. Ms. Sullivan holds a JD in Law from American University in Washington, D.C., an LLM in Trans-National Commercial Transactions from Lazarsky University in Warsaw, Poland, and a BA in Political Science from Texas A&M University. She teaches college and graduate level courses in international arbitration and international energy policy. Recent appointments include International Black Sea University in Tbilisi, Republic of Georgia (Fall 2018); Berdyansk State Pedagogical Institution in Berdyansk, Ukraine (Fall 2016); and Lublin School of Technology in Lublin, Poland (Fall 2015). Ms. Sullivan a frequent speaker on energy industry developments, including, most recently, at the Center for Energy, Petroleum and Mineral Law at the University of Dundee, Scotland (April 2018), the World Energy Conference in Rome, Italy (October 2017), and Zaporizhya National University in Zaporizhya, Ukraine (October 2016). She has been quoted in and published by leading industry publications, including Bloomberg, Law360, Platts Inside FERC, Electricity Journal, Oil & Gas Journal, Oil & Gas Monitor, among others. Ms. Sullivan is a Senior Lawyer and the Center of International Legal Studies and a Member of the ICC USA Arbitration Committee of the United States Council for International Business. She is a dual citizen of the United States and Ireland. South Korea’s third largest conglomerate regarding strategies for acquiring physical gas, gas hedges, gas transportation, and gas liquefaction capacity in the U.S.
Georgetown Law Center, Washington, D.C.